Offers an introduction to the theories and practices of the public relations industry. 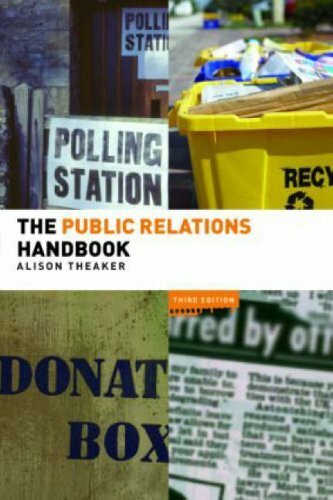 This title traces the history and development of public relations; explores ethical issues which affect the industry; examines its relationship with politics, lobbying organisations and journalism; and, assesses its professionalism and regulation. The Public Relations Handbook is a comprehensive and detailed introduction to the theories and practices of the public relations industry. It traces the history and development of public relations, explores ethical issues which affect the industry, examines its relationship with politics, lobbying organizations and journalism, assesses its professionalism and regulation and advises on training and entry into the profession. The Public Relations Handbook combines theoretical and organizational frameworks for studying public relations with examples of how the industry works in practice. It draws on a range of promotional strategies and campaigns from businesses, public and non-profit organizations including Devon County Council's Don't Let Devon Go To Waste campaign, Airbus, Somerfield, BT, the Alzheimer's Society and Emirates Airlines. It is supported by a companion website at www.routledge.com/textbooks/9780415428026 which features international case studies. The Public Relations Handbook includes: case studies, examples and illustrations from a range of campaigns from small and multinational corporations, local government and charities specialist chapters on financial public relations, internal communications and marketing public relations strategic overviews of corporate identity, globalization and evaluation a thorough examination of ethics and professionalism over twenty illustrations from recent PR campaigns a new chapter dealing with public relations for charities a completely revised chapter on dealing with the internet effectively.